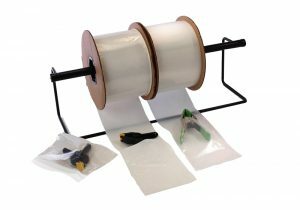 Poly Bag Central offers an array of stock Pre-Opened Bags on Rolls for use on automated packing machines. Pre-opened bags also work great for manual applications because they have an opened slit in the front and a perforated back for fast hand product loading. Available in clear or white front/clear back styles, you’ll find 63 stock sizes of pre-opened bags on rolls. 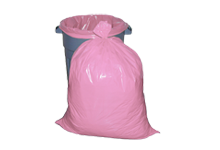 If you don’t see the bag for your needs, call us for a custom quote. Custom options include multiple colors (tint or opaque), special perforations, venting and hang holes, headers, UVI, VCI and printing up to 8 color process. Clear Pre-Opened Bags have both a clear front and a clear back. Stock sizes range from widths of 2 and 10 inches to lengths between 3 and 15 inches. Choose from 1.5 mil, 2 mil, 3 mil and 4 mil. Bags can be heat-sealed, tied, taped or stapled shut. White Front/Clear Back Pre-Opened Bags have a white front with a clear back that allows for the maximum of visual appeal when showcasing your products. Seal these bags with ties, tape, staples or heat. 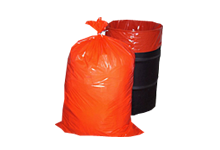 Pre-opened bags on rolls are manufactured of a high-grade linear low density polyethylene with a tubular construction and durable bottom seal. Each roll is neatly wound on a 3” core. Stock items ship within 24 hours. 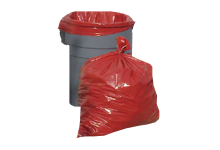 The design of these bags allows for increased productivity and profits for your business. They arrive to you ready to be mounted on an automated packaging machine or a frame to allow for the quick packing of products. 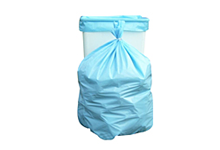 With their assurance of meeting FDA/USDA specifications, these pre-opened bags are ideal for a variety of products.